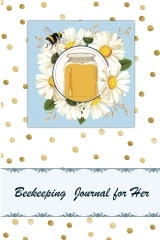 Record, Organize and Track Your Beekeeping Activities | Includes Beekeeping Calendar, Seasonal Checklists, Beekeeping Articles and more | Size: 6” x 9” and 150 Pages – Lightly Lined and Blank for Sketches Perfect for Beginner and Experienced Beekeepers. Record, Organize and Track Your Beekeeping Activities | Includes Beekeeping Calendar, Seasonal Checklists, Beekeeping Articles and more | Size: 6” x 9” and 150 Pages – Lightly Lined and Blank for Sketches | Perfect for Beginner and Experienced Beekeepers. 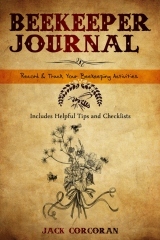 This Beekeeping Journal has been written for both the beginning beekeeper and for those who have gone through the training to become Master Beekeepers. 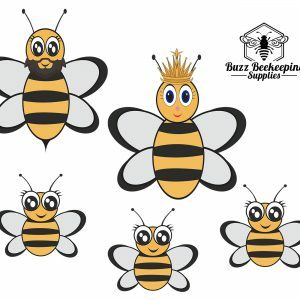 Become a more organized beekeeper. Keep notes and records of your hive activity. Compile and check off beehive to-do lists. Read through some common questions and answers relating to beekeeping. With abundant lined pages, you will have plenty of space to write down your thoughts about current hive conditions and future plans. Good Luck and Happy Beekeeping! Living Prairie Museum abuzz over new conservation website Global NewsThe beebettermb.ca site gives Winnipeggers useful tips to create healthy habitats for bees, including information about native plants, garden designs, and more.